The Forearm Pain Self Care Toolkit focuses on all the areas of your forearms that you know are a problem, as well as all those hidden spots that can cause pain to come back time and time again. My guess is that you never realized that in order to get the best possible outcome, it is necessary to release adhesions in your upper arms, neck, shoulders and torso before the tight tissue in your forearms can release, did you? You'll come away understanding your injury in a way that is totally unique and different from anything else out there. You'll know what to do and how to do it so that forearm pain becomes a thing of the past. It really works! 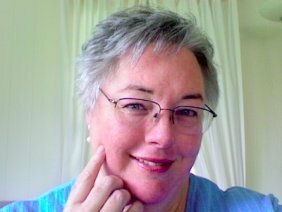 “I would like to see everyone in the world suffering from RSI give Sharon Butler’s programs a try. I think Sharon is the top expert in the world on how to teach people to recover from RSI using simple self-help techniques." " The exercises are helping me. I am using them every day. My forearm pain was of a real concern to me as my work transcribing medical-legal reports involves long hours typing away at a keyboard. Your program is helping me have less pain." 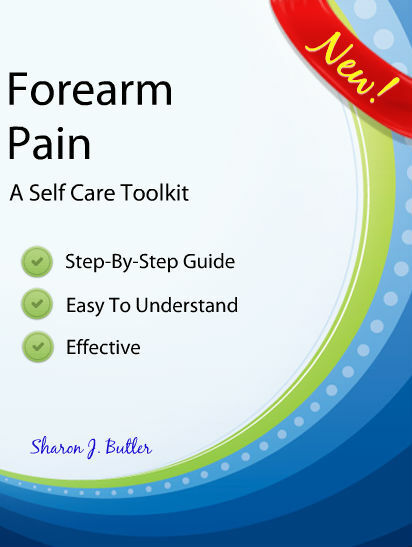 Buy a copy of the Forearm Pain Self Care Toolkit. Open it, try it, test it, feel what it does for your body. Kick the tires on it for a full 60 days. If at the end of that time you are not happy with the results you have achieved, let me know and I will gladly refund your full purchase price, NO questions asked. You have nothing to lose!